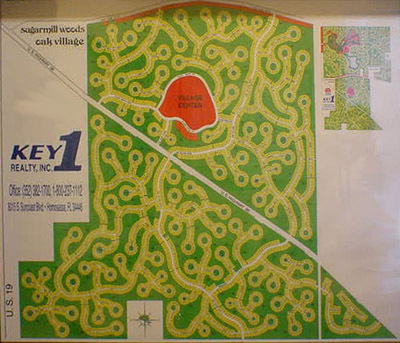 Sugarmill Woods is a 7,000 acre deed restricted community in citrus county, Homosassa, FL. 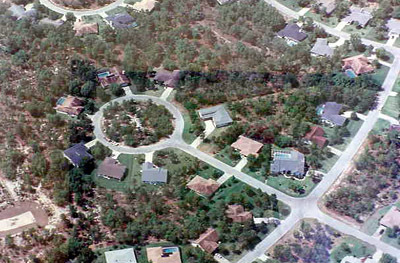 Sugarmill Woods was the first residential community in the world to recognize environmental and ecological concerns. One-third of Sugarmill Woods' acreage was left as natural greenbelts which are found behind every home! Beautiful oak and pine trees, native palms and cactus, 50 species of birds, and a natural habitat for the gopher tortoise, white-tailed rabbit, fox squirrel, deer, raccoon, fox, bobcat and occasional black bear make Sugarmill Woods a haven of natural serenity and a model residential community where nature and man live together in harmony. Sugarmill Woods' high grade appearance and property values, central water and sewer, "priceless greenbelts", & diverse social activities and amenities, make Sugarmill Woods unique in many ways. Residents literally hail from the four-corners of the world, finding Sugarmill Woods a great place to call home. -- Sugarmill Woods has wooded "greenbelts" behind every home. -- Sugarmill Woods puts fine dining, boating, fishing and beaches at your fingertips! -- Sugarmill Woods is located at the entrance to the NOW OPEN Suncoast Parkway, just 45 minutes to Tampa!!!!! -- Sugarmill Woods is 60 minutes north of Clearwater!